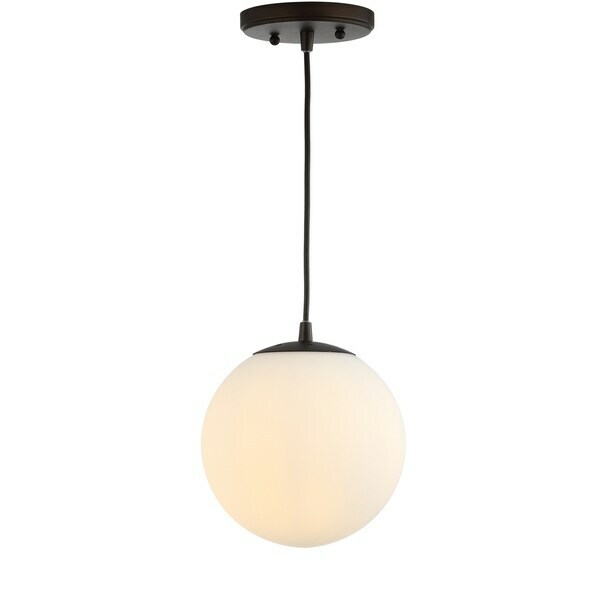 Industrial design modernized for today's homes, this single light globe pendant brings a feel of minimalism to kitchens, dining rooms, and any other space that could use a little extra light. Its canopy, down rods, and shade holder are crafted from metal, while the spherical glass shade suspends, almost weightlessly, above kitchen islands, breakfast bars, and beyond. It looks fabulous as an accent piece, or hung in multiples. Dimensions 7.75 In. X 7.75 In. X 8.5 In.